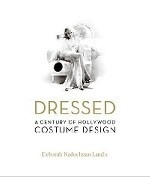 Hollywood`s most memorable movie moments have one thing in common-visually stunning costume design. Few careers have been launched from costumes alone, and many an era defined by the intuition of a costume designer. This book offers insights to the costumer`s art.